Famille Get-Away 7-9. Parking. Navette gratuite à l'extérieur condo. a) L'unité reçoit une mise à jour / actualisation pour la saison de ski 2018-2019. Pour plus d'informations s'il vous plaît contactez-nous pour plus de détails. Ce choix est le condo d'un constructeur sur deux étages supérieurs avec à couper le souffle, une vue imprenable sur la montagne. Idéalement situé à proximité (gratuit la distance des navettes-pied) dans les villages pour les remontées mécaniques, écoles de ski, et salle à manger. Les propriétaires offrent paiement alternatif par téléphone ou SMS - 240-780-2944. REMARQUE: les réservations nécessitent un contrat et un dépôt de garantie remboursables. - Piste piétonne / cyclable pavée, à 15 minutes du village et des remontées mécaniques. 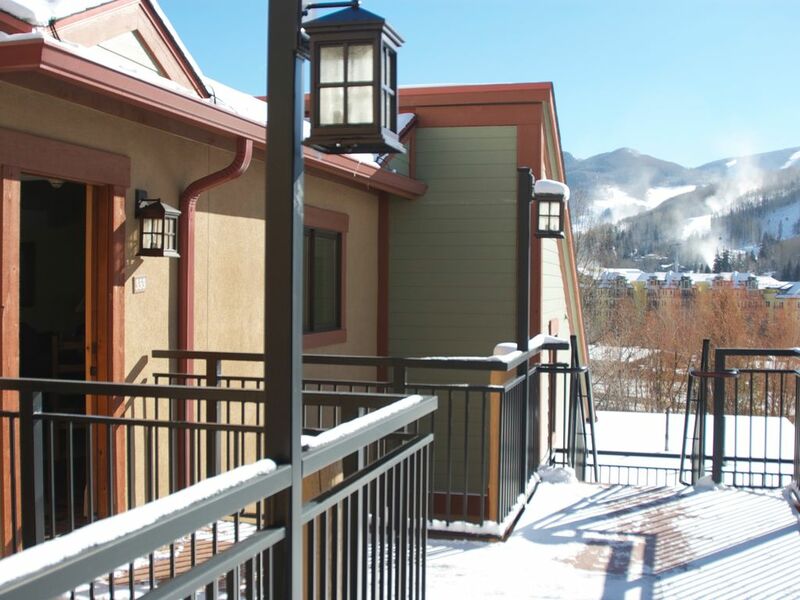 Mots-clés: Vail ,, Colorado; Station de ski; Location de ski; Ski; Location condo; Randonnée; Faire du vélo; 3 chambres à coucher. Lodge Chic; Mountain Retreat. 3 pleine douche / baignoire. Property was very spacious and easily had sleeping arrangements for our group of 8. Property felt like chalet cabin. Very efficient. Was on top floor which made the views spectacular. I used the elevator however the kids loved the stairway up. Met our expectations and made for a very enjoyable family Christmas Holiday together and New Year!!! After walking up five flights of stairs with luggage someone in our party located the elevator that starts at the second floor. Who knew? The entry walkway to the front door was worn down to the particle board underlay. Inside, the mattresses were very worn except for the master bedroom and the linens were also past their prime. Their were four wine glasses available and the screen door to the deck was propped up against the stationary door of the patio doors. One of the bathrooms had a sink that didn't drain. That said, the kitchen was well equipped. The location was good. And, the hot tub and pool were excellent. It was the end of the season so perhaps it had been overly used. Our family did enjoy our stay in Vail and with a little updating and tlc this could be a great property. Great space but needs some TLC! The condo had great space. Beautiful views. Perfect for 6, tight for 8. The bathrooms were dated and the unit has been rented quite a bit. It showed. The pictures on line do not reflect this. The elevator did not work 5/6 days we were there. It's a problem because the condo is on the top floor...5 flights at altitude with your luggage!! Location was fine. Shuttles to the mountain were across the street. Parking was an issue as well. There is not enough for the property and often times we had to double park. Fine but the elevator was out of order the entire time. Not acceptable for a 5th floor unit. The unit met the needs for our family ski vacation. However, the elevator was out of order during our entire visit from 12/26 to 1/1. We were told it has been out of order since November. This is unacceptable for a 5th floor unit. We were there Tuesday - Saturday. The condo was perfect for my wife and I and our adult children, total of 6 of us. Easy to get to the mountain and to nearby stores. Parking, le libre transit à ski, bain à remous, piscine chauffée, salle de gym, club house, ski de classe mondiale, le kayak, le vélo et la randonnée. Gastronomie, galeries d'art, et le premier ministre du shopping. Parmi plus belles vues de la vallée depuis le balcon qui surplombe ski, Vail Village, gamme Gore Mountain. Cleaning fees are waived for bookings that exceed six (6) days.